We invite anyone to submit an article relevant to our farming readership in the Northeast. Articles can not promote a specific business or product, but be intended as an educational piece. Please read over the guidelines below before sending us an article. We reserve the right to publish or not to publish any materials received. We may hold materials for publication at a later date. SUBMISSION FORM: If you’ve read over the submission guidelines below and are ready to send us an article, please download the form here. Open the document, and replace the red text prompts with your own words and info. When complete, email to kacey.deamer@cornell.edu with subject “SFQ SUBMISSION” and attached or link to 2 – 3 photos. First time submitting? Before submitting an article, we recommend that you first contact Managing Editor Kacey Deamer by phone or email to discuss your idea. Photo Release Form (Needed only if a photo features one or more identifiable adults, or if the featured subject(s) is under age 18) For your convenience, use our online form and please provide your e-signature. What is the Small Farms Quarterly? Small Farms Quarterly is not just about being a good business manager and producing quality products. It’s also about the joys and challenges of farm living, the pleasures of raising kids on a farm, and the beauty of nature. It’s about working with neighbors and building community, and the importance of stewardship. It’s about good farming and good living that connects people, land and communities. All submissions are reviewed by members of the Editorial Team. The Editor in Chief, Anu Rangarajan, and Editorial Team reserve the right to reject submissions that are not consistent with SFQ’s goals. Who are the target readers? Small Farms Quarterly is for Northeast region farmers and farm families who value the quality of life that smaller farms provide. It is for full-time and part-time farmers, experienced and beginning farmers, and even folks who are just thinking about getting started in farming. We don’t use any particular definition of “small farm” but leave it up to the reader to decide if the shoe fits. Our readers include small farm producers of dairy, livestock, fruits, vegetables, and forest products. Many operate diversified farms. 75% of our readership lives in New York. Who are the target writers? Northeast region writers are strongly preferred, although we include occasional articles from outside the region. Farmers and farm family members are especially encouraged to contribute articles reflecting your own experiences. Don’t worry if you don’t have much experience writing – we are happy to help edit your work. Young writers are also especially encouraged. Our Youth Page is written by and for young people. Small farm Service Providers are key contributors to Small Farms Quarterly. They include Cooperative Extension educators, researchers, USDA agency staff, and staff of non-profit organizations. They also include consumers, farm neighbors, community leaders, planners, environmentalists and others interested in supporting small farms in the Northeast. What kind of article topics are you looking for? Below is a list of topics we are interested in addressing in Small Farms Quarterly. We’re also open to suggestions – tell us what you think would be interesting to our audience. Readers Write: Send us a story about your life on the farm, your reminiscences, poems, recipes, questions for other readers or for Cornell specialists, or just a letter. Resource Spotlight: Information about an organization, program, publication, website, service, or other resource that small farmers in the Northeast should know about. Small Farm Profiles: Detailed stories of interesting small farms and the families or individuals who run them. Commercial production: Dairy, livestock, grazing, field crops, forages, vegetables, fruit, specialty crops, poultry, bee-keeping; machinery and equipment. Organic Farming: Success stories, how to get started in organic, production systems, organic markets, should you get certified? Organic certification options…. Youth Pages: Youth farming & gardening, including school and community projects, Ag in the Classroom, 4H, Farm to School and youth urban farms. For purposes of this column, youth is considered under age 18. Other: Book reviews, poems, photo essays, drawings, or other items may be included. Where can I find example articles and inspiration? Browse the Small Farms Quarterly Archive at http://smallfarms.cornell.edu/quarterly/ Or choose the category below that best identifies you and read the sample article provided! Are you a farm service provider or educational organization looking to share success stories, lessons learned, impact on farmers? Read THIS sample. Are you an environmental or ecological organization looking to share a profile or success story? Read THIS sample. Are you a farmer looking to share a new skill, technique, experience? Read THIS sample. Are you a farmer looking to share a reflection, memoir or creative writing piece? Read THIS sample. Are you a do-it-yourself type, farm engineer, or tech innovator? Read THIS sample. Looking to write a farm profile? Read THIS sample. Educator or Researcher announcing a new crop or latest research? Read THIS sample. Or just browse by column for the articles that represent your area of interest for examples and inspiration! Most articles should be be between 1,000 -1400 words. A “Resource Spotlight,” which describes a useful publication, organization, website, or other resource relating to the topic and referenced in the article, should generally be under 300 words. Where appropriate, we encourage authors to provide a side bar to accompany your article and direct readers to additional information. What kind of style and content are you looking for? Small Farms Quarterly articles should be simply and clearly written, warm and friendly in tone, and should engage the reader through use of the first and second person (I, we, you) where appropriate. Avoid formal, impersonal or academic-sounding language. Whenever possible avoid the use of technical jargon that is not common to the general public.Farmers love to read about other farmers. Wherever possible, use one or more real-life farms to illustrate your theme, either in the text of the article or as a sidebar. Interview the farm operator and family, and use direct quotes to add interest. Photographs of the farmers and the farm family are strongly encouraged, but must be accompanied by a signed Photography Release Form. We strongly recommend that you have your interviewees review and approve your article before sending it to us. What are the guidelines for photos and graphics? All articles must be accompanied by one or more high resolution photographs. This does not apply to resource spotlights or letters to the editor. Other graphics such as cartoons, lineart, or charts may be included as appropriate. All photographs featuring subject(s) under age 18 or personally identifiable adults must be accompanied by a signed photography release form. All photos and graphics files should be sent as email attachments. 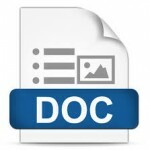 Do not embed photos or graphics in your Word document. High resolution only. Digital photos and other graphics should be 300 dpi TIF or JPG in either BW or RGB or CMYK color. WE CANNOT USE IMAGES COPIED FROM A WEBSITE — these reproduce poorly in print. Lineart is preferred at 1200 dpi Bitmap (BMP). Will you alter my article at all after I submit it? Small Farms Quarterly reserves the right to alter your manuscript for readability or space considerations. There will be no deliberate changes in the meaning of the text. Although every effort is made to avoid error, Small Farms Quarterly does limit its responsibility for any errors, inaccuracies, misprints, omissions, or other mistakes in the article content. Can I submit a reprint? We prefer to publish original articles. We will consider reprinting an article if it is: 1) well written, reader-friendly, and engaging, 2) relevant and useful to Northeast small farm families; AND 3) not already easily available to our readers through another publication. If your article has been printed in another publication, please use the Article Submission Form to list the publication and date published, and provide a written statement from the publisher giving permission for the article to be reprinted in Small Farms Quarterly. Unfortunately, Small Farms Quarterly is not able to pay any of our contributing writers at this time. We can offer up to ten free copies of the issue in which your article appears. How do I submit my writing? If you’ve read over the submission guidelines below and are ready to send us an article, please download the form here.